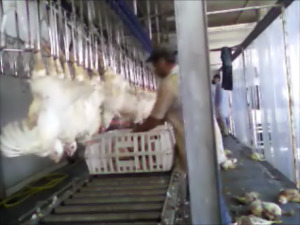 Your company slaughters chickens or other types of poultry. Possibly you will slaughter for your own meat production, possibly for third parties as a service. Registration of live animals based on weighing of trucks (full & empty) with automatic creation of incoming register. If useful: integrated document scanning of transport document and archiving combined with registration of live animals. If applicable: electronic data exchange with computer system of authorities (veterinary organisation live stock) to get approval for slaughtering. Procedure and equipment to count the number of poultry per truck with registration of the number of dead on arrival. 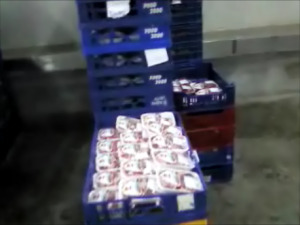 Counting system at the end of the slaughterline and automatic batch creation system for cutting area. If applicable: invoicing of slaughter services. Specific overviews and reports concerning slaughtering of poultry: statistics.